Blue Lines is the debut album by English trip hop group Massive Attack, released on 8 April 1991 by Virgin Records. Blue Lines is generally considered the first trip hop album, although the term was not widely used before circa 1994. The album was a success in the United Kingdom, reaching #13 in the albums chart; sales were limited elsewhere. A fusion of electronic music, hip hop, dub, '70s soul and reggae, the album established Massive Attack as one of the most innovative British bands of the 1990s and the founder of trip hop's Bristol Sound. Music critic Simon Reynolds stated that the album also marked a change in electronic/dance music, "a shift toward a more interior, meditational sound. 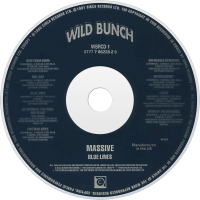 The songs on Blue Lines run at 'spliff' tempos - from a mellow, moonwalking 90 beats per minute ...down to a positively torpid 67 bpm." The group also drew inspiration from concept albums in various genres by artists such as Pink Floyd, Public Image Ltd., Billy Cobham, Herbie Hancock and Isaac Hayes. Blue Lines featured breakbeats, sampling, and rapping on a number of tracks, but the design of the album differed from traditional hip hop. Massive Attack approached the American-born hip hop movement from an underground British perspective and also incorporated live instruments into the mixes. It features the vocals of Shara Nelson and Horace Andy, along with the rapping of Tricky Kid. 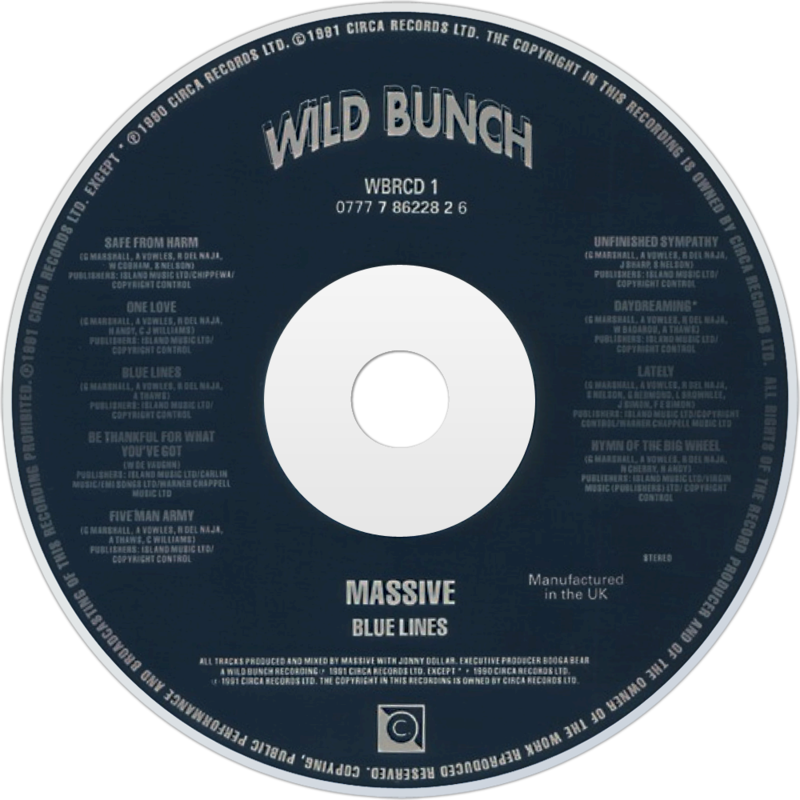 Blue Lines proved to be popular in the club scene, as well as on college radio stations. Twenty years on from this landmark album’s release and its makers are very much a part of the mainstream, an outfit comfortably capable of selling out the nation’s biggest venues and with enough column inches of acclaim behind them to build a (rather flimsy, granted) ladder to the Moon. But at the time, Massive Attack were purveyors of a sound so new that it didn’t have a pigeonhole to fits its form ”“ trip hop would not be coined for another few years, and this mash-up of dub, rap, reggae and soul caught attentions like few other releases of the time. It didn’t so much hold one by the collar as set fire to their shoes. Blue Lines wasn’t produced without persuasion, though, and while it might shuffle to a remarkably assured beat, the then-trio of 3D, Daddy G and Mushroom needed a little coercion to get the puzzle pieces in their right places. The celebrated guilty party: one Neneh Cherry, a star on the back of 1989’s Raw Like Sushi LP, whose championing of this group of Wild Bunch sound system sorts helped seal a record deal. And once Blue Lines was delivered, Virgin set about exploiting its singular content. Hip hop unlike its stateside purveyors, soul without bedroom intent: this wasn’t quite like anything else out there. And the breakthrough would be, while hardly instant, dramatic enough to still be felt to this day. Unfinished Sympathy alone didn’t make Blue Lines the classic its standing in so many best-albums-ever charts confirms, but it ensured that the public en masse would give Massive Attack the chance to impress with their myriad approaches to music-making. While its peak position of 13 on the UK singles chart could be seen as something of a disappointment if released today, Unfinished Sympathy’s video clicked with the MTV crowd ”“ Shara Nelson’s determined street-walking was immediately iconic, later referenced (read: stolen wholesale) by The Verve and parodied by Fat Les. Although it utilised samples, uncleared at the time, there was no doubting that the track signalled the arrival of a powerful pop force with unique ideas. It blew the floodgates open, and in the years that followed a thousand lesser acts aping Blue Lines’ melancholy-kissed claustrophobia, bubbling basslines and smoky vocals poured into the world’s bedsits and penthouses alike. Of course, focusing on just Unfinished Sympathy doesn’t tell a fraction of the story to be discovered on this album. Horace Andy’s sweet, from-dark-to-light tones on the distant-thundering dread of Five Man Army, the noticeable emotional crack in Nelson’s voice as she delivers the chorus of Safe From Harm, the slinky funk of Lately, Hymn of the Big Wheel’s urban-evensong climax: there’s a wide spectrum of delights spread across these nine tracks. And if you’ve never indulged before ”“ the likelihood is slim, surely ”“ make sure that you slip inside this enduring masterpiece as soon as you can. Arguably, Massive Attack have never bettered this debut ”“ and certainly, they’ve never sounded quite this hungry and fresh since.